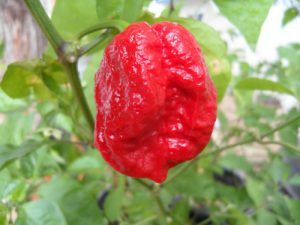 Trinidad 7 Pot-7 Pod “Rare” Hot Pepper Seeds $7.99! 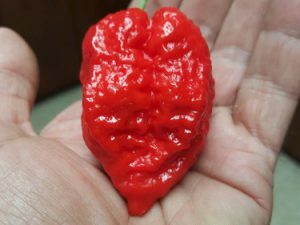 The rare and elusive Trinidad 7 Pot Chile Pepper is now slowly making itself known to chile heads around the world. Pure seeds are very hard to find. Seed sources are often overseas and can you run into very high prices for them. 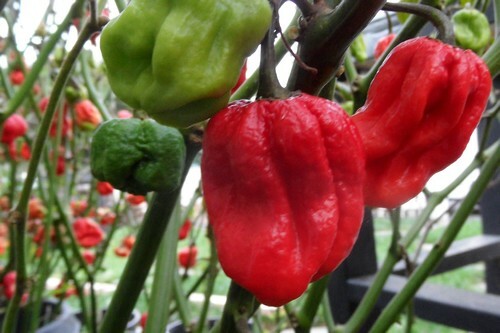 It is called the 7 Pot because it is rumored that one pepper can add heat and flavor to 7 pots of stew!!! 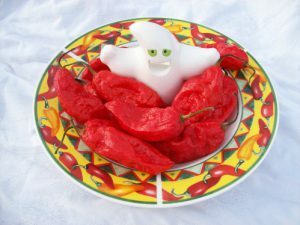 If you can get past the heat it has a kind of fruity flavor. 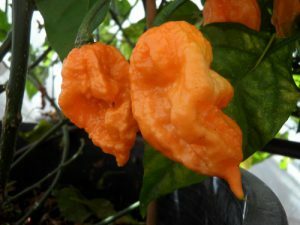 These seeds are the CARDI SR strain of 7 Pot which has a rough pimply texture on the outer skin.